You are here: Home / Blogging For Profit / Do you have a Winning Blogging Strategy for 2017? Are you looking to earn a substantial income from your blog/website? You are in for a treat! This Post was first Published in 2016 and we have revamped it because, it is an EVERGREEN blogging strategy for 2017 and beyond! Today you’ll get some great insights into our evergreen blogging strategy, very essential if you want success. If you don’t have the level of success you want from blogging or from your content marketing, this may help you. We want you to have a smoother ride, so following on our post on how to create infinite blog posts, by the way go read it here if you haven’t yet! We want you to Focus on creating a solid blogging strategy for 2017! Do you have a Blogging Strategy Planned? also sometimes have guest bloggers. One man stands out for being different… A man who posts a blog daily come rain or shine Ray Higdon, is a blogging juggernaut! But not many can do what he does, for various reasons. But my question to you today is: Do you have a blogging strategy for 2017 and beyond or are you gonna wing it again? In our book; frequency of quality content = Search engine visibility and that should= Organic traffic….For some! Lolol why am I laughing? Because its rarely the case. 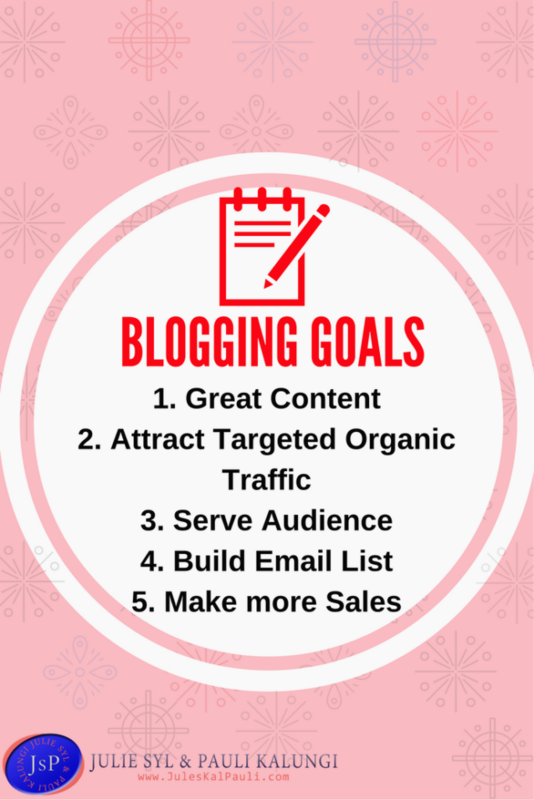 The goals of most bloggers (those who wish to earn a living from their blog) are: creating high quality content, Build an engaged audience and increase targeted organic traffic, Yes or Yes? Still that doesn’t tell me if that’s a blogging strategy or not! Yet many pump out a load of stuff to put it politely, with no blogging strategy whatsoever. Content that has very little value or has been regurgitated so much there’s no chance of ranking on any search engine unless they use black hat SEO! The funny thing is that you are in a prime position, because according to B2C who shared HubSpot; marketers who blog receive 67 percent more leads than their counterparts who do not. So today I am writing a post that is way different from what you are imagining, to help you make those tweaks that could bring that breakthrough! Below is part of our Blogging Strategy for 2016 and beyond! Our 14 Essentials to a Winning Blogging strategy for 2017 and Beyond! #1 Write from the Heart: The most important lesson we learned in 2015 on creating content & as part of our blogging strategy 2017 was to stop writing from the head and start writing from the heart! Be me, share more of my life experiences! Plus it’s not a matter of posting daily, it’s a matter of creating content that people love. Stuff like Tutorials, Case studies, Reviews, Lessons, Tips, etc! We all know by now that when you speak from your heart you also tell a story and stories do sell…If you have no idea what I am talking about, you definitely need to learn more about this resource! #2 Be sure to update your about page as part of your definitive blogging strategy for 2017! Make sure it reflects your blog purpose! We did ours twice in 2015 and we know it’s due a face lift. Why? Because we have evolved a good deal and some statistics have improved too. You too have added another year to your blogging journey and you need your statistics to be on point! Remember that 60%+ of your regular traffic visits your page to learn more about you and suss out if your blog is worth their precious time! Its also a great place for first time blog visitors to learn what your personal brand is about! #3 Learn from the Experts, Create your own Slant on it! By the way we learnt the hard way, that not all “expert” ideas are awesome…! Some of these people’s agendas are not in alignment with your vision, just saying! So when crafting your blogging strategy for 2017 and beyond, keep that in mind! Only pursue ideas that are in line with your mission, vision and target. They too have their own agendas and targets. Learn from them yes, duplicate their proven, result driven actions, but don’t become their mini-me, copy cat! 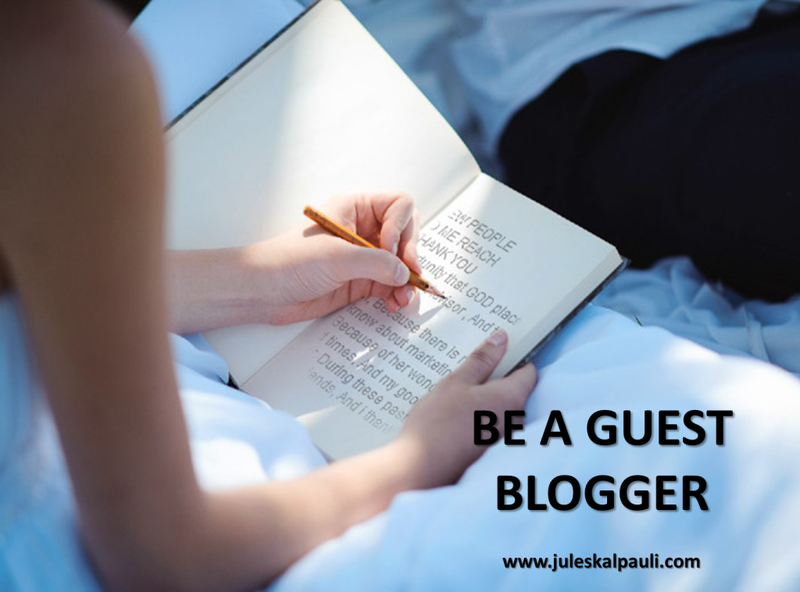 #4 Find guest blogging Opportunities But don’t forget your blog! If you do reach out and are able to do one guest blog per month, You could receive over 1k+ blog traffic to your own site. Some may think this is not worth it, BUT if you are creating great content on your site and your guest blog was worth 5 mins of your target market time. You will find you get at least 20% of that audience coming back to your blog! Also of course it would be nice to have a guest blogger with a bit of a following creating content for you. For that Ann Smarty’s MyBlogU is a great resource to connect you with potential guest bloggers and for you to be one of course. Add this to your blogging strategy for 2017! Remember I said don’t forget your blog? I mean that literally. However busy you are unless you have taken time out to create super content. Don’t neglect your blog. Lots of awesome bloggers are neglecting their sites because they have been advised by “experts,” to focus on something else…Watch who you are listening to! Your site is your premium online showroom, to showcase your brand and if you neglect it, you are paying attention to someone else’s brand for sure! #5 Narrow your focus for better Content: Instead of chasing butterflies and every idea that you come across…bad blogging strategy for 2017 that would be. How about taking quiet time out to actually think and let ideas flow to you! Yes…! In fact our very last post was about how to create infinite blog posts in 24 hours or so…It’s doable. As content marketers we are listening, this was an eye opener and we intend to deliver more of what you need for sure as part of our targeted blogging strategy for 2017! Means you are a great Giver…& Open to Receive! #6 Make Blog Commenting Part of your Blogging Strategy 2017! And for crying out loud DO Read or Watch that video or Listen to the audio before you comment it’s so the right thing to do. If you chose to read that blog, then it should be worth it! Don’t click the link otherwise! Many bloggers tend to scroll and scan blogs, looking for highlighted sentences, and boom they drop their comment. 2 lines tops and feel that they have done their duty…What you give out you get back, patted down shaken over and overflowing…lol! OR in plain lingo you are attracting that exact behaviour from your audience too. Meaning you aren’t getting quality traffic really and your bounce rate will be atrocious! #7 Focus on Attracting Subscribers than followers as part of your blogging strategy for 2017! This could be controversial. You are looking for people that are actually interested in reading your content. So getting people subscribing to your RSS feed may not necessarily achieve that! You want people actually subscribing to Your Opt-in page/s to receive an email with your Blog post, offers & other value content may present. That’s why we don’t really ask people to subscribe to our feed, rather we encourage our readers to pick up offers scattered round our blog so we can serve them even better as subscribers! Your blog needs targeted readers who also want your offers period! A percentage in turn will become your subscribers and customers! #8 Your Blogging Strategy for 2017 should be: better SEO, by March! Focus your resources on getting that better this year. How long will you wait for the Holy Grail? Your audience is waiting for you via search engines and social media! Most or our readers believe it or not come from Pinterest, and other Social media, followed by online searches. We also have a healthy following from our links via WordPress.com! Yet as stated above followers don’t necessarily turn into subscribers, esp. WP ones, they simply are looking for tips for their own blogs…Hard fact but true mate! So Avoid these costly mistakes and Create better SEO for your blog this year, you owe it to you! #9 Are you Using A Content AND/OR Editorial calendar? Make it part of your blogging strategy for 2017 now. Whats an Editorial Calendar– Well here it is! It will help you plan out part of your content message themes in advance. You will seek help and research your content in time for the season. Perfectly fitting in with your content marketing plan and this is the way to do it. Every business has a peak season and a down time, like the tide, there is a flow to it! You will find that you sell more at certain times of the year. Some people even say they build their business event to event…Learn how the companies set those events and you will learn the reason for it! As part of your blogging strategy, ensure to leverage your blog to educate your audience in those peak seasons. For instance, a Fashionista will want to use her blog to educate customers about their seasonal outfits and why. A health and fitness blogger will focus on the different annual seasons and why people want to look good esp. in summer etc. Finance expert—then you will be educating us about our end of year finances starting now thru to April…get the picture? #10 Learn what your niche blogging trends for 2017 are and specially the social media trends! As these will affect your content marketing and promotion strategy! #11 Don’t Forget Your Visuals: We always say we humans are visual beings. And as a blogger part of your blog strategy must be to use more imagery, visuals, videos, scopes, infographs, photos, gifs, memes, banners with your offers etc. Let your images tell your message. They also break up your text and that’s great for user experience! Tools to use: Canva, Picmonkey, PPT, Photoshop, your trusty camera or android etc. What do you use for your images? Create PPTs upload them to Slideshare (by the way feel free to follow us on there too!) This resource is going crazy with over 150 million page views, are you kidding me. Get on now! You get FREE Organic views to your videos, presentations or PDFs, of course linked to your website…Heck you have a goldmine waiting to be mined. Do this and you will certainly boost your results. #12 It’s okay to take a break! We took a break, a 3 week break. We are planning to take another soonest come April. Taking a break helps us refocus and refresh. After all, its from these breaks that the biggest ideas pop into my mind! I receive divine inspiration when I take a break…! Go figure so this is definitely part of our blogging strategy for 2017! #13 As part of your blogging strategy for 2017 definitely set aside Family Time! Why is this part of this plan? Because your family really don’t care for your blog lol! Sad but true. It takes you away from them. You give it more value time…You may not be their favorite entrepreneur or blogger even. And as always We encourage you to TWEET THIS now, We appreciate you! After you’ve left a comment on how to Create Infinite Blog Posts online, let’s continue the conversation on our Facebook page or on Twitter, LinkedIn and Google. We also have a Podcast on iTunes and you’ll definitely want to order our new, amazingly helpful Pinterest for Business Course to help you grow your following and sales too. Awesome tips as usual Julie.. Loved the reminder, Build it and they will come. Have an amazing 2017! the about page is super important. Glad to remind! Great tips! Will definitely keep them in mind going into the new year. Great post! Really interesting to read and great for getting people inspired for the new year. Glad you got value Jazmin 🙂 Thanks for your time! You are most welcome Hannah! Some great tips. I personally think one of the best ways to build your on blogging strategy is to concentrate and work out what works best for you. Its not about you though is it Rachel? Its about your audience so you create SCHEDULE that works for you, while Serving YOUR AUDIENCE the content that they love! Than ks for stopping by! Hi Julie, Great ideas for blogging in 2016. How do you feel about paid advertising to get more people in front of your blog post? I will certainly be using more imagery in my post as you suggested. I am more of a visual person so I see how that would be beneficial as you described. I am all for using every means possible to get more eye balls to your content, as long as you have mastered the art of using said means. Same goes for paid advertising! Awesome tips you provided here in this post. Very inclusive and hits home to what alot of bloggers should be doing regularly. Will be implementing these tips and bookmarking this for future reference. Thanks so much! Awesome post Julie! A Lot of Golden Nuggets, I completely forgot about using Slide Share, I use to use Slide Share to upload blog posts that I had turned into eBooks, PDF’s I haven’t done that in 1 1/2 years at least-I am definitely glad I read your blog post today! Thanks for sharing Julie! These are great tips! I like # 1 and #12 the most as far as the rest of them, I’m book marking this page so I can implement these strategies with my own blog. We are glad you like and Implementation is key for sure. You are most welcome, Glad you stopped by too. Strategy is vital and you have it mastered.. I love how you have broken it all done into a step by step system.. Thanks so much for featuring me! I am so honored! Hello Ann, What an honour. It was a pleasure mentioning you and the awesome MyblogU resource! Its such an honour to Hear from you as well and we do love the huge value you put out! Super pumped and appreciate you loads! Julie – again, loving your stuff and just seeing you all over the internet like we are traveling the world together already! The part about commenting thoughtfully, listening to the videos, all of that is so true. Since I’ve started putting myself out there I am so much more appreciative of the effort people make to communicate something of value for me and am allocating time to see progress in my learning as a result. I’m marrying that comment with being around bloggers blogging about things that light my heart with love and ignite my soul. You do that! So, thank you! Sooo much. You lady are one of a kind, So full of positive energy and As I always say In your case gal “Your Power echoes” for all the right reasons! I am so humbled by your kind words and I truly believe that what we give out we receive back from the Source of all good things in huge measure! Keep that Beacon shining bright and thanks for your time! So on point. I’m in blogging groups and I find #6 is something many have to work on. Can’t tell you how many times I have rolled my eyes at some of the comments that I have received because the person clearly did not read the post. Some scan for keywords but others only read the title of the post lol I just winged it last year and I was not impressed with how the year ended (for my blog stats). Yes indeed a lot of people treat blog comments as something they have to do…they dont look at it as a business strategy. Its okay to leave a simple comment with no regard to traffic if you dont blog and you just enjoyed the post. But if you also are looking to receive, then you absolutely must be more conscious of what you post! These are all pretty solid tips and I agree with most. One thing I think I should try for 2016 is maybe more guest posting – I don’t do that and I it would be nice to give it a try. Do some research and find out which blogs in your niche or interest areas accept Guest Bloggers Alison! And start commenting on their blogs with value comments. then reach out and Share with them some of your posts! Its as simple as that. some will some wont…so what! These are very helpful tips to learn more bout blogging and earn more money. we like your direct Blog target. To make more money unless its a hobby! This is indeed is a great list of tips for building a winning blogging strategy for 2016. I do believe that a story in a post makes it more interesting. It is always better to be yourself. Thanks for sharing the tips. Oh yes it is always bgood to include a personal experience or someone you know. that way your audience can relate to a person going through what you are sharing! Great tips! The thought never even occurred to me to include my 2016 vision in my about page! That’s great! Pinning this valuable resource! Every year you have gone through some transitions and thus need to adjust your about page. Sometimes not much but definitely some! Can we assume then that you blog for pleasure? In that case carry on as it pleases you my dear! If you blog for business its time to start smart blogging! This is such a great list! I have one I wrote this past week with over 50 tips for 2016. I agree that writing from the heart is so important. People can connect with you if they relate to you. Honesty is also very important. It’s also important to narrow your focus so you know what is your niche. We definitely will be checking out your Post. Wow 50 Tips now thats one heck of a post unless its in Video or Audio form so we are pretty curious. If we dont prioritize we lose focus so we must do that. Yes yes yall, these are the types of posts I like to see. “Learn from them yes, duplicate their proven, result driven actions, but don’t do be their mini me–copy cat!” I love that statement. It’s great to learn from a mentor, but at some point or another, there’s nothing left to learn and you have to start iterating beyonf what you learned. you have to start putting in your own time and energy. Great advice about SEO and an editorial calendar. I manage more than one blog and it’s a chore coming up with new relevant topics that haven’t been beaten to death if I Don’t plan it out. That’s not to say I won’t deviate from the calendar when I’m feeling inspired. I see you’re a fan of my blog u as well. I was talking to Ann Smarty the other day and I have to say, she’s a great person. so willing to help out. I would like to suggest one other thing to your 14 tips, anyone you mention, no matter how big or small, let them know. You’d be surprised at how much they’ll help. When I mentioned Ann smarty in one of my recent posts, they linked back to me. when I mentioned Gael from authorityhacker, they promoted my post on their social media accounts for something like two weeks. I even got Darren Rowse to give me a shout. Thanks for the great share as always. We are super pumped you found value and Live our Post! Truly appreciate you taking the time to check out the details and your contribution is awesome! We do reach out to almost all bloggers whose content we share or link to; to let them know and and also as a mark of respect! Indeed we have reached out to Ann Smarty and Ryan Biddulph as you can see below did drop in too! Bottom line some people are givers and others just takers! We have to find out the hard way who is and who isnt! Great post! You are so right…when you blog consistently you will get the traffic! Thanks for the kind mention Julie! Awww THANK YOU Ryan Bro. We appreciate your hustle and the Sheer volume of value you put out! Julie this is one epic post! I love how you start with “Heart”. There are way too many of my favourite tips in here. Well done. Thank You for your kind words! Keep rocking. These are very helpful tips. 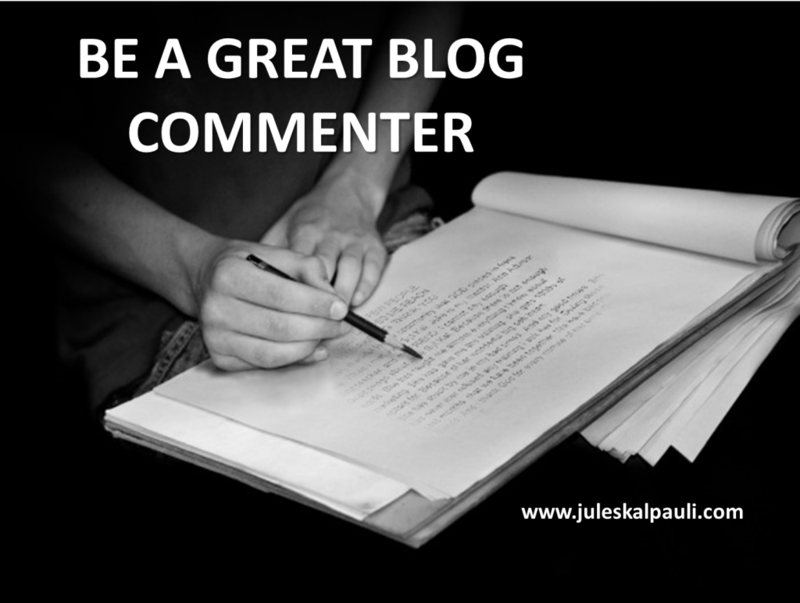 Blog commenting has always been a part of my blog strategy. Ohh In that case prepare to be amazed with our next offering in the blogging Category…Blog Comments strategy! You shared too much value in this post. I will have to bookmark this and read it again! I have tried some of them like guest posting, and it works! I will look into MyBlogU. I first heard about it from viralcontentbuzz but paid it no heed. Thanks for the value! Absolutely leverage MyBlogU Ann Smarty is a Smart lady! and Make is amazing Year! Glad you found value Claire. Glad to have been of help Shaylee! These are great tips. This year I want to focus on great content and utilize my editorial calendar for timely content. Thanks for sharing your knowledge. You are most welcome indeed and are on the right track Chanelle. Ray Higdon is a blogging machine. BUT he also has access to a plethora of resources most other bloggers do not. Yet he gives a personal touch to most of his content via video so yes he is an amazing man Michelle! I need to update my about me page. It has the ages of my kids as I have 5 ranging from 7-26 years and my kids would have a fit if their age was wrong. We are glad to have helped in anyway! Great article. I can definitely improve my SEO. I’m new at all this so I don’t know much about it. Thanks for providing value we can apply in our own businesses. 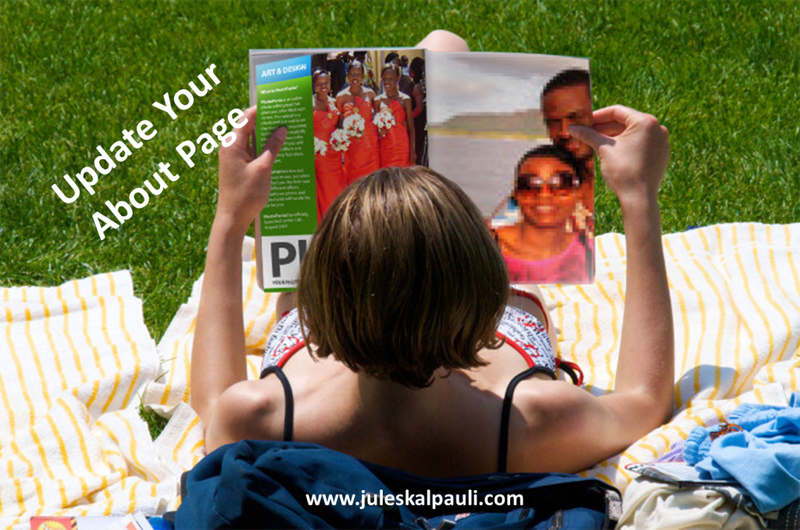 you will find some amazing resources and tips to help you get page rank and visibility! All you need to find the categories we focus on is to use the search option at the top right! These are all great tips, thanks for the reminder because I need to tighten up on quite a few of them. You are so very kind Claudette. Glad you found some value. Keep shining and Happy new year! I don’t really have a blog strategy but I do need one. I’ll work on changing that by implementing some of your tips into my blogging. This is very smart strategy, as a new blogger, I always schedule blog for a week. My goal is to blog smarter in 2016, not daily, but frequently. I just want to be realistic and smarter with my time. Exactly Heather. If you blog daily WHEN DO YOU PROMOTE your content? 2-3 times a week with super blogs that you can promote over and over is ample! Thats when the work begins and thats where your priorities should go! My boyfriend and I were just discussing point #13 today. I have to find a better life balance, so much goes into blogging and no one really gets that, except us. Indeed in the beginning so much goes into it you gotta set the scene and know your boundaries. Your health is paramount and above all your relationships! As you grow you find even more to do to promote your content and you gotta prioritize your time Danielle! The beginning of the is a great time to refocus on your website. These are great tips to consider. It sure is Tara as the year starts you can create your roadmap for the year and test how it works in the first quarter and tweak to your pleasure! What a smart tip, usually I’m just keep writing blog in each day. Not a great strategy Lexie so now you have a blue print and some way to start SMART BLOGGING. I always try to write from the heart. It doesn’t feel good to do any other kind of writing. I usually try to blog once a week but the last couple of months I fell off the bandwagon. So, this month I’m planning to do better. I’ve already written out my schedule. I am also going to try to do more blog commenting too. I usually share a blog post even if I don’t comment. So, many bloggers swear by blog commenting. Awesome tips! Thanks for sharing them with us! You can do it and we are rooting for you! Dont HOPE, BELIEVE IT Rika. We teach our Team members to Believe that whatever they DESIRE they can achieve. and proceed to help as many people as you possibly can along your journey to fulfill your desires, you will WIN Absolutely! I love number one the most! There is nothing better than being real and writing from the heart. That’s what helps start everything. Its no good writing awesome content and no body sees it…is it Maikel! So we have to point out audience in the right direction otherwise we would be just offering a band aid! Aawww I love this post! Very comprehensive and helpful for bloggers who really want to grow their blogs like me. I love each and every point written here but as much as I want to post everyday, I dont have the luxury of time. I try to connect with other bloggers as much as I can though.. I can do it in my mobile! ? And I totally agree with you.. commenting without even reading?? thats not cool. Time is what you make of it. As long as you have YOU time and time for the things you love you are good to go! Wow, what a great value post. Lot’s of gold nuggets being dropped here. Thanks for sharing such a useful post. It sure is Ana and You always do write authentic Posts. I love the poetry you always bring at the start of your blog posts! Those are great blogging tips! I think blogging from the heart is important because people are attracted to integrity. If you are writing a factual post them its should be more factual than heart matters though dont you think Lori? Such a great list and so on point! I’m definitely working on #7 which is developing my list! It’s definitely something that I slacked last year and need to get back into building my subscribers. We are glad you do agree and found some value Victoria. Keep rocking and yes you will build that list, with the strategy you have now! [ Smiles ] I love your blogging strategies. Writing from the heart is always the best thing to do (And, that is my modus operandi). These tips are spot on perfect thanks so much !! You are most welcome Laci. thank you too! Over The Top! fantastic Points us Blogger Need to apply to our Content Marketing. My favorite is #6 especially because You are the most powerful visitor i have to my blog. You always leave a thoughtful comment and interact with others in my comment section too. I deeply appreciate the value you bring , not only to this blog but to mine as well! visito who does add value to our site. We also <3 Love love your content coz you give so much value! Keep rocking and Thank You indeed! These are great tips! As a newer blogger, I am always looking for new ways to boost my blog. This is so true ! Not at all the kind of people that I want to give time to. I am just going to keep doing what I am doing. It seems to work.